This is completely unrelated to sewing, but a fun project anyway. 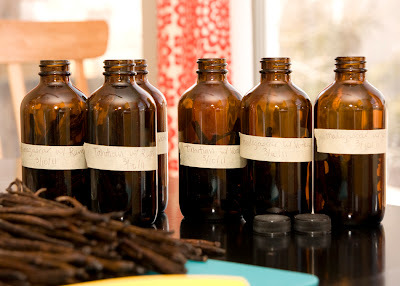 About 1 1/2 years ago, I decided I wanted to make vanilla for neighbor gifts for Christmas. I bought a pound of vanilla beans and 1.75 liters of vodka and mixed them all together and let it hang out in my basement for four months. I'd go down and give the jars a good shake every couple days. I thought that would be ample time to make vanilla according to the tutorials I saw online. When Christmas rolled around I was a little disappointed. It was fine, but not anything spectacular. We gave small bottles as gifts with a couple other items, and I shoved the four extra 4-oz bottles to the back of my pantry and forgot about them. Those bottles stayed there for about 9 months until I found them this past fall. I tried some out and was so excited. It was nice and strong vanilla with a good flavor. I have used up all four bottles since then and realized we needed a new batch of vanilla. 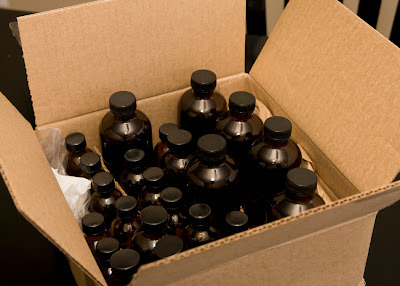 I ordered extra bottles the first time around in anticipation that I would make vanilla again someday. I had just about the right number left for another batch. I used vodka again and also tried rum this time as well. I ordered 1 lb of Madagascar extract grade beans from the same Ebay supplier. They sent a free 1/4 lb of Tahitian beans as well. When I cut the beans, I slice them lengthwise and then cut into smaller piecing to fit in the bottles. 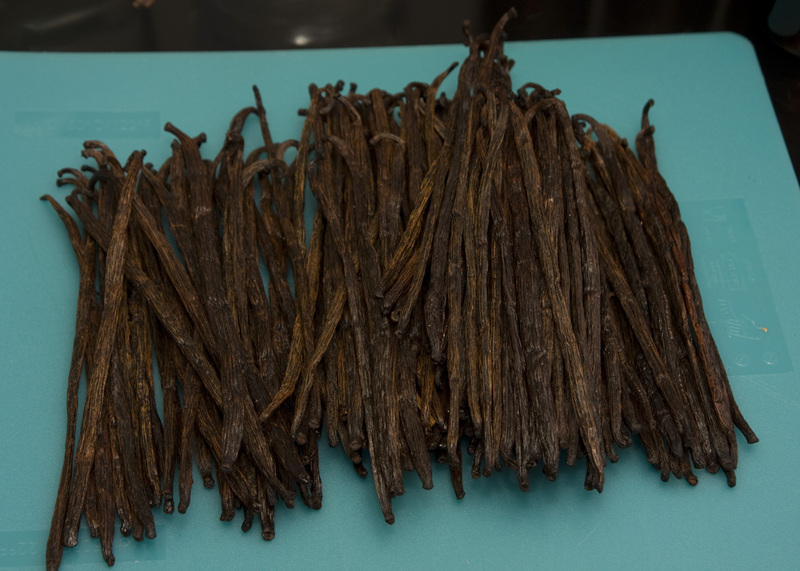 Making vanilla takes a lot more beans than I initially realized. I have seen tutorials that recommend 3-4 beans per pint. The Ebay seller I received these from suggests 2 oz of beans per pint. That's approximately 20 extract grade beans. These are 8 oz bottles. I put 12 beans in each bottle just to be on the safe side. 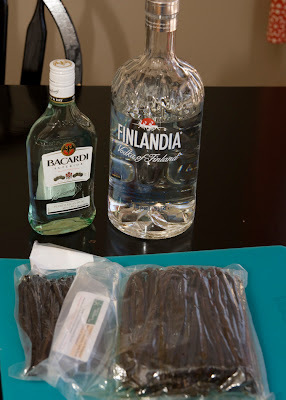 I want strong vanilla, not just vanilla flavored vodka. Label and date everything as well. My labels are a bit hard to read here, but it shows the type of beans and alcohol used as well as the date. Finished! With this batch I made (6) 8oz bottles, (5) 4oz bottles, and (3) 2 oz bottles. I also refilled my other bottles from the previous batch and added a few more beans. I've heard you can just top off the bottles and the beans will continue to work (at least for a while). I'm experimenting. Even after being extremely generous with how many beans I put in each jar, I still had quite a few leftover. 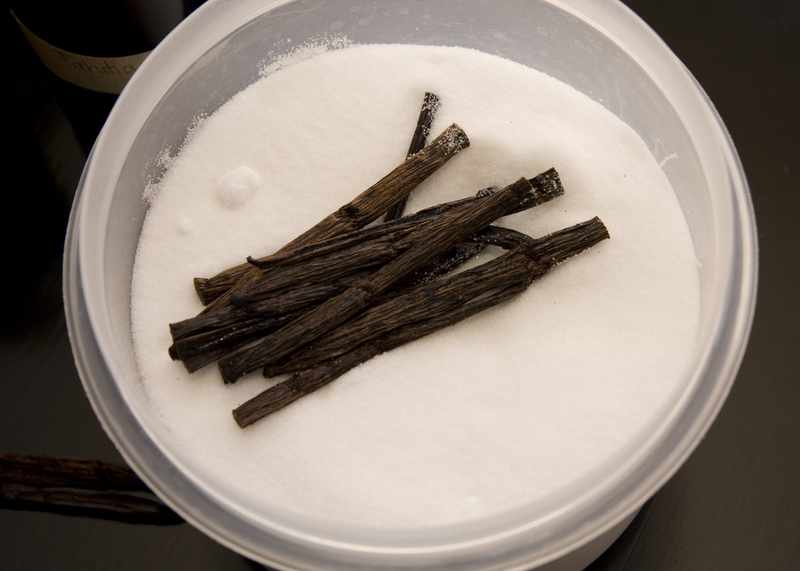 I threw some in a container of sugar to make vanilla sugar. I'm still thinking of more uses. It's going to be hard to be patient. 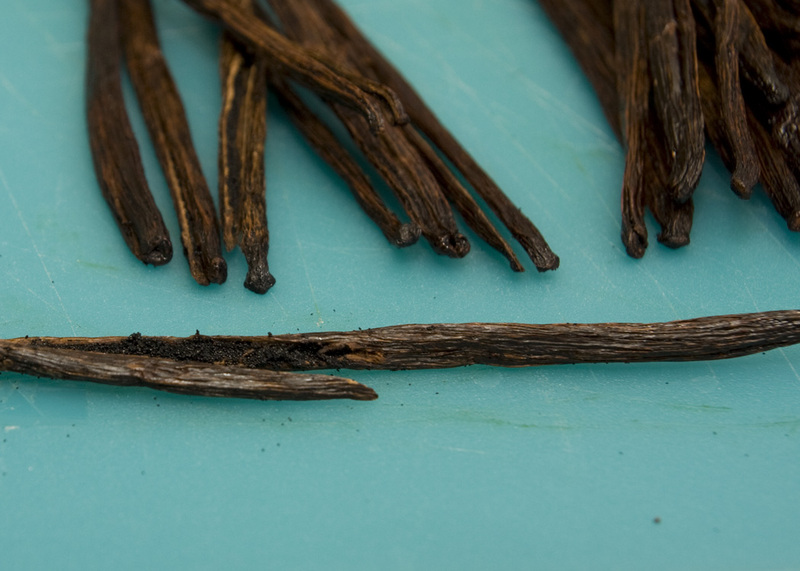 It takes a long time to make good vanilla. 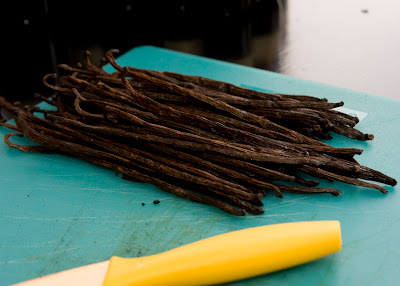 In the meantime we'll have to settle for our Mexican vanilla my brother and SIL bought for us when they were down there a while ago. Because the vanilla takes so long to develop flavor, I made a big batch. As long as the beans are left in the bottles, it continues to develop flavor. I'm pretty positive we won't be using this much vanilla. It's fun and unique to give as a housewarming gift. Pair it with a few other kitchen items as a wedding gift as well. I'll make up a cute label for the bottles when I'm ready to give them as gifts and maybe include a container of vanilla sugar as well. Very cool! Had no idea this is how vanilla was made. Vanilla is on my shopping list today, too. I love this! What a great gift idea! That's really awesome, I'm glad you shared! Now I have yet another reason to tell my husband I wish I had a basement :) This is definitely a great gift idea! "pretty positive we won't be using this much vanilla"... I don't believe you!! I would love to do this! How do you know you are going to get good beans? Did you just take a chance? Fun! What a great little gift! In a life before kids, I traveled to Mexico frequently to visit a manufacturing plant operated by my company. The only female in a group of men engineers. All the men would stock up on bottles of liquor and sneak them across the border. 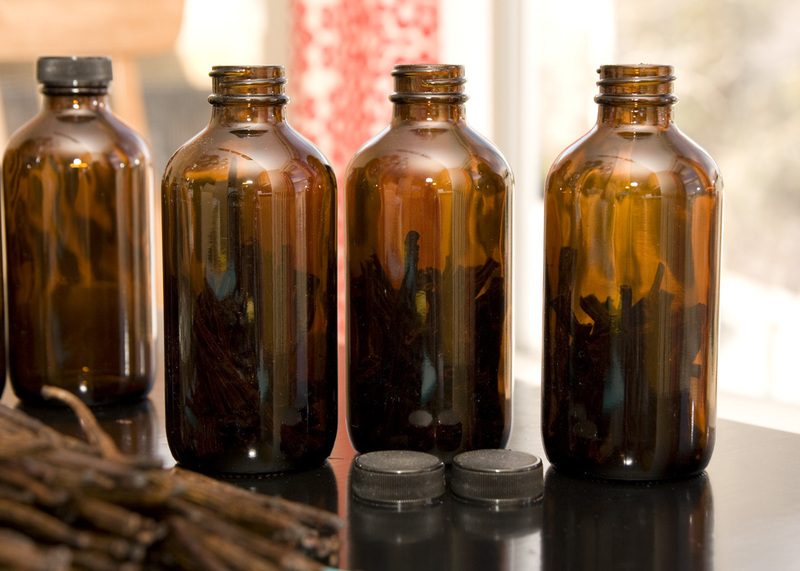 I, on the other hand, stocked up on bottles and bottles of Vanilla!! So cheap down there! Thanks so much for sharing this! I've long since run out of my Mexican supply and had no idea I could make my own. Super cool! Can I live by you??? I love anything to do with vanilla - thanks for this!! 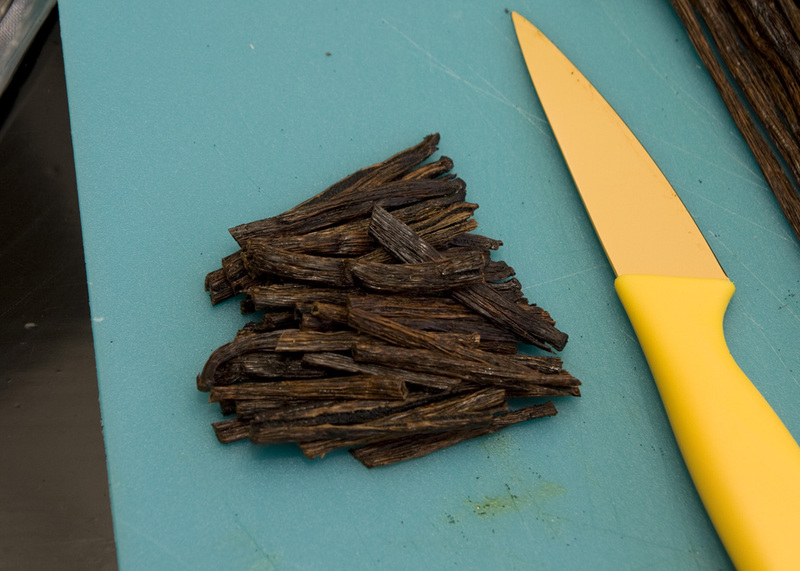 So how much does that many vanilla beans cost? 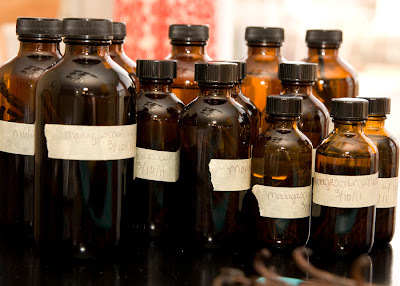 I also saw a tutorial like this on another sewing blog but she used bourbon. I hear it's really good. I'm excited to see how the rum one turns out. Rum. Yum. So where did you buy your alcohol? I know that the minute I come out of the liquor store, I will meet my bishop as he is passing by. I have been wanting to do this for YEARS but could never find a good place to get bottles. Where did you get yours from? ?